When comparing Plex vs Kodi (or Plex vs XBMC) its important to remember that they share a common pedigree and are sort of long lost brothers. Portions of Plex were forked (or derived from) Kodi source code back in 2008. This results in some similarities between the two. 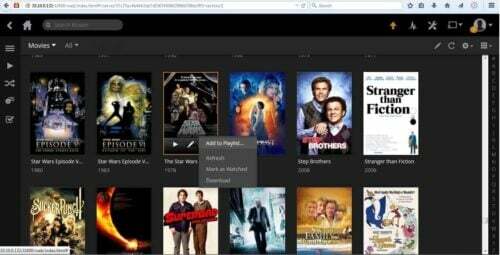 Both Plex and Kodi not only play your media, but organize it using a powerful back-end database which is populated by ‘scrapping' metadata, images and artwork from online sources (such as theTVDB.com or theMovieDB.org) You can then organize, categorize and even use this information to display and browse your media library in stunning fashion. Despite their common lineage, after several years of evolution, comparing Kodi vs Plex it is noted that they are more different than they are similar. This post will discuss some of Kodi vs Plex differences and how they might be beneficial to different types of users. In case you do not want to read through the whole Plex Media Server vs Kodi comparison guide, the table below provides a quick summary. Of course, I suggest that you read through the entire Plex vs Kodi comparison guide to understand the differences between Plex and Kodi / XMBC before making a decision on which would be best for you. Now let us look at the above summary of Kodi Plex comparison in detail. A primary comparison in Plex vs Kodi is the location of the database where all of your media metadata is stored. Plex stores the metadata on central server using the Plex Media Server. This server software streams your media database to a variety of client devices. These client devices run a copy of the Plex client software and have access to the media as well as all the metadata and images. There are several benefits to having the database stored on the server in a central location. First, if you have multiple devices, you only have to maintain one database rather than a database for every device. Second, since the data is all stored in central location, Plex can keep track of the the watched status and resume locations of all of your movies and shows. If you watch an episodes on the client device in your family room, you can pause and resume right from where you left off in a different room on a different client device. By default with Kodi, each installation includes a separate local database which is redundant if you are accessing the same media library. There is a way to maintain a single SQL database with Kodi, but it requires changing some advanced settings which may not be within the comfort zone for many users. Plex Media Server allows you to maintain your central database through a very user friendly web interface. When comparing Kodi vs Plex, managing your database is much simpler with Plex. Plex, compared to Kodi, does have the ability to include add-ons similar to Kodi. 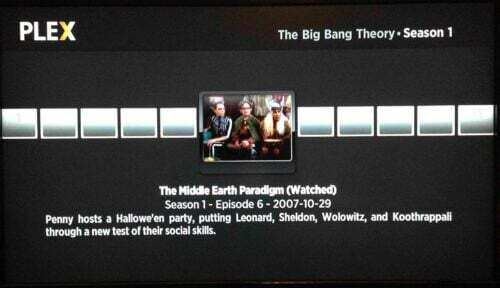 Plex calls these channels. There is not nearly the same number of channels available, but there are some popular channels including YouTube and Icefilms. Look for a future post on how to set these channels up. The base Kodi application is open source software which is developed and maintained by a large team, is supported by a large community and is freely available to end users. However, individual third party addons and skins are often developed and maintained by a single person. Maintaining these addons is a lot of work and often means they will stop functioning as the author loses interest or is unable to continue to devote the necessary time and resources. Plex is propriety software owned and maintained by Plex Inc. This means that, although Plex Media Server is free, there are costs for some other Plex services and applications. The trade off is that this allows Plex to provide a professional staff to regularly maintain and develop the software as well as support non-core services such as technical support and customer service. This contributes to the long term availability and stability of the program. Plex charges about $5 for client software on the more commercial platforms such as Roku, Amazon Fire TV, iOS devices and gaming consoles (which is pretty reasonable), but other options such as Windows, Mac, Linux and PleXBMC can be used free of charge. Plex does not even begin to compare to Kodi in terms of visualization customization. Within the Plex client apps there are no skins to apply and there is no ability to customize the appearance. On some platforms the visualization is pretty basic and does not make use of the poster art and background art and the quality of appearance suffers dramatically. No PlexPass subscription is needed for remote access to media or remote sharing. Most of these services are not available through Kodi, or might be possible with advanced configurations. 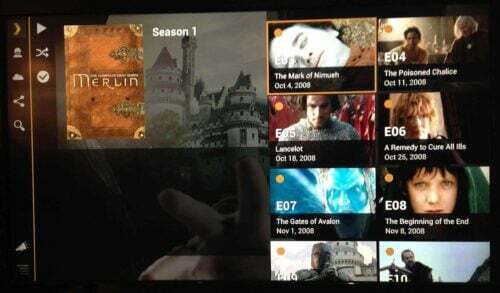 Plex Pass subscriptions are available monthly ($5) yearly ($40) or life time ($150). This article has compared Kodi and Plex and some of their features. Plex Media Server is jammed packed full of features and is available to download for free. Features offered by Plex include a central media database, simple media database management, availability on a large number of client devices and variable transcoding. More Plex features are available with a Plex Pass subscription. Kodi offers a ton of flexibility and customization options both in the amount of add-ons available and in terms of the variety of skins and visualization customization. 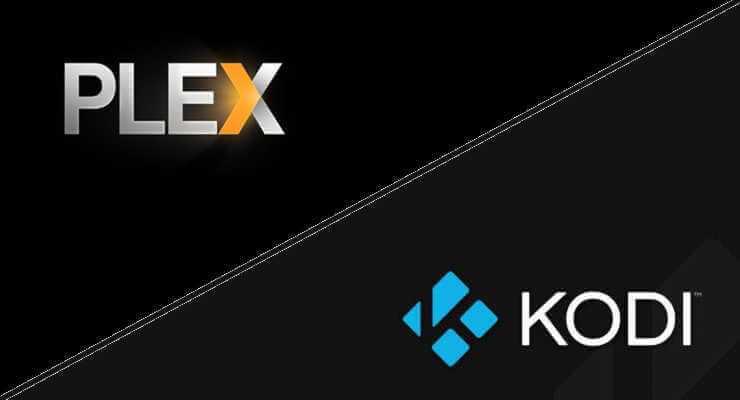 It is possible, however, to seamlessly connect Kodi to Plex Server using PleXBMC, PlexKodiConnect, or official Plex Kodi addon,and enjoy the benefits of both programs. Read the linked article to get the benefits of both applications and not have to compare Kodi vs Plex.